It has been almost three weeks since I have been back from the land down under and can't believe how fast the time went by! Have you ever been to Australia? Why Australia? Well, if you don't know yet, Matt AKA Bae, is Aussie! he has his whole family and friends down there and we had a visit well over due. Also, because it's an amazing freaking country. 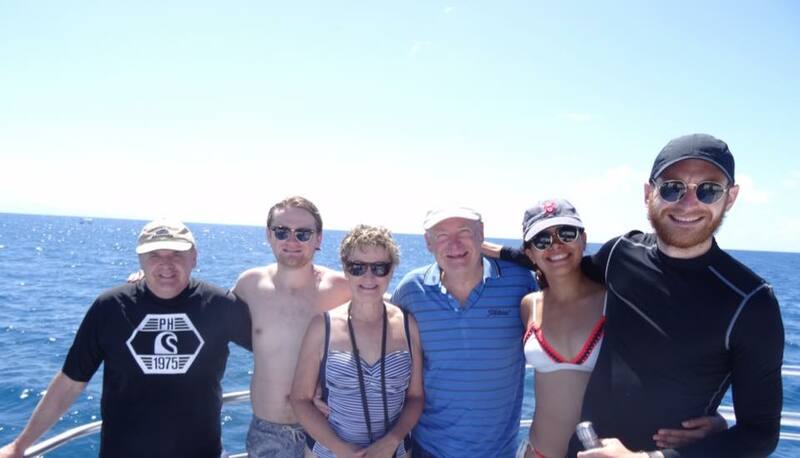 We went to Melbourne (and areas around), Adelaide, Palm Cove and Cooktown. We spent a night in Brisbane and a few hours in Sydney. Still counts right? I saw the opera house...so maybe it does count! BUUUTTTT before I tell you all about Aus, you have to know about Doha Airport. BIG TIP here, if you are flying to Australia from the East Coast do it the other way around, and go through the middle east. It adds a couple of hours, but you get to travel with Qatar Airways or Emirates (both are the best airlines I have ever been on!) and you can do a layover in Qatar Airport. Qatar Airport, is one of the newest airports out there and is freaking amazing. It has a hotel inside that lets you rent rooms by the hour in case you need a nap. It also has a spa called "Vitality Wellbeing and Fitness Center" that you are allowed to use for a fee of $150 QAR, around $40 USD. It has a gym, squash courts, a lap pool, showers, steaming room, massages and hot tub. I think is worth the $40 USD! After a 13 hour flight, a workout, swim and shower was what we needed before jumping into another 13 hour flight. I highly recommend it. Even if you stay in the hot tub for 3 hours, it's way better than sitting at the gate. Now let's get to Australia! Melbourne Laneways. The city has tons of laneways full of coffee shops, clothing stores, bars, cool restaurants and shops. My favorite were Flinders Lane and Hosier Lane. Check this website for a free guide. Walk around Fitzroy and St. Kilda: Both are cool kids areas. St. kilda has tons of bars and cool shopping stores, really good restaurants and overall a pretty laid back vibe, oh and a pretty nice beach! Fitzroy is the Williamsburg of Melbourne. It's filled up with vintage stores, graffitis, pretty awesome vegan restaurants, stores and victorian architecture. Scroll down further and find the best restaurants! Mornington Sanctuary: If you want to see koalas and kangaroos, go there. Is a small sanctuary, which is perfect because it wont be packed and you get to walk around, feed the kangaroos and take selfies with them. Also go to Mornington Peninsula, and walk around the town, go to a coffee shop or just lay on the beach. Great Ocean Road. It has the best views of the ocean and takes you to the 12th apostles. A collection of 12 rocks along the shore. I couldn't see the 12, but the walk to the beach is beautiful (TIP: is the "long" walk). Sit down at any coffee shop and have like a million coffees because nobody in the world would make a better one. This is from someone that has been to 17+ countries (including Italy) and I swear the coffee doesn't have any comparison. If you can escape to anglesea for a weekend, do it. It is a small beach town but the waves were perfect for surf lessons, and, again, coffee shops were amazing. It also has the most beautiful vegan restaurant. Adelaide oval, because the Adelaide Crows, duuhhh! If you can walk around the area and pop in, or even go in footy season, do it! Footy is such a different sport that is worth watching. Botanic Gardens. It is an 84 acre park in the city. It is cool to walk around or lay down in a hot day. Crocodile farm: I was not aware that this was a farm, and they have crocs in the back ready to sell and make bags out of them. Didn't like that part of it, and was pretty uncomfortable to hear it. However, I did learn a lot about these amazing reptiles, and got the chance to watch them in action. It was scary, but I am happy I could see and learn about them. ScubaDive and Snorkel. The best option is taking a tour from Cairns. The boats normally have to be booked one week in advance and some can take up to 100 people. So, plan ahead and choose wisely. We took Reef Experience and loved it. It is a locally owned company that employs pretty young and knowledgeable people. They make the tour super fun, give you information about the reef, their animals, what to expect to see and prepare you to dive or snorkel. All meals are included, and if you tell them in advance they can make changes in the menu. We dived twice, the first one was an introductory session, which I didn't love cause I have dived a million times already, but it has to be done. The second one, was amazing! Honestly the best dive I have ever done! Skyrail: It takes you from Palm Cove to Kuranda, and you get the whole view from 7.5 Km over the rainforest. The views are breathtaking! You can stop and walk around Kuranda and enjoy the local food and touristy shops. Hike Mossman George. It has a few easy hikes and a longer one. It is around 2.5Km but it felt more like 3Km. You get to hike around the rainforest and see amazing trees, a few reptiles and if you are lucky a Cassowary. There is also a river that you can swim "under your own responsibility" - it is pretty chill but if you feel brave, rock climb the rocks around the river and swim in the currents. To me, that was the best/scariest part of the hike. Bring your GoPro to take breathtaking photos. Drive up to CookTown, and hike up to the Grassy Hill Lookout for the best view of the town. You can also drive up, but the walk to the sunrise is worth it. Also, James Cook Museum is pretty amazing, you'll learn Australian history and tons of aboriginal information. Cafe Komodo: it had a 70´s style which I loved! it offers mainly vegetarian options, but they were able to change it and make some vegan meals, plus the dessert is amazing. Make sure to get a vegan cake before you leave! Walk everywhere! Melbourne is bigger than Boston, but you can walk everywhere in the city. Also take the train (make sure to tap on and off!) and just enjoy the view. Melbourne has tons of culture and graffiti everywhere, so is cool to just walk your coffee off and take the city in. BBG: I did it a few times in matt's room! Didn't use any weights but it sure made me sweat. I have the PDF's on my phone so is easy just to do it. RUN: If you go in Spring, the weather is perfect for running. It might rain, but running next to the bay while it's raining isn't the worst thing. You will get to the see the city from a different perspective. 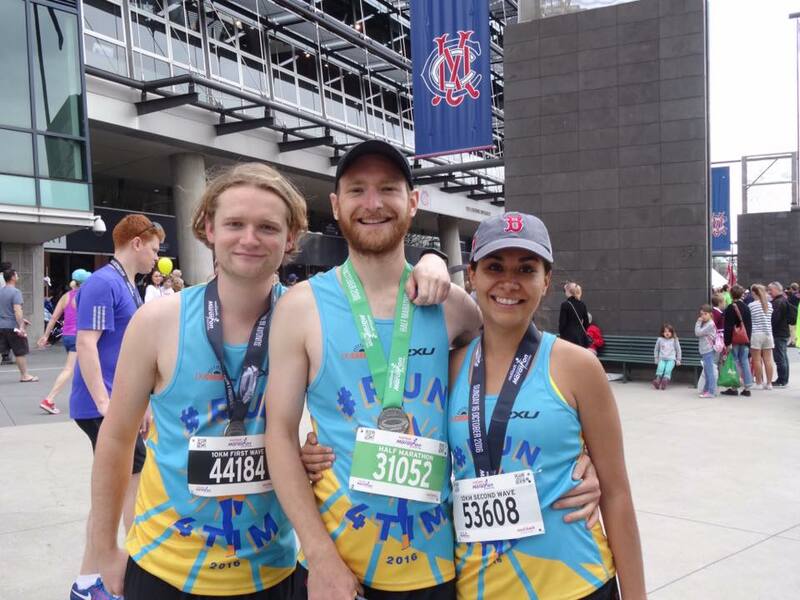 Run the Melbourne Marathon, or any of it races. it has 5K, 10K, half and full marathon. Whatever your running experience is, running this race it has to make it to your list. To be fair, it was my first run ever, so I don't have point of comparison, but it was AMAZING! You finish the run at the MCG (the biggest stadium in Australia!) and you get to run with thousands of people. Definitely a must if you are around in October. Studios that I didn't go but I wanted to (there is always a next time! ), are bohdi ride and F45 (there is tons around the country, so deff go!) Bohdi Ride is a spinning studio that also offers yoga. I follow half of their instructors and all of them look so much fun! - F45 offers different classes every day, and all of them have a theme. I know from friends, that is mainly HIIT workouts, spinning and cardio-kickboxing. Thank you so much for reading! If you made it to the end, wow, sorry! I wanted to share as much as I could of our experience, and that turned out in so many photos! but thank you! PLEASE, tell me if you have ever been to Australia in the comments, and what you loved about it?